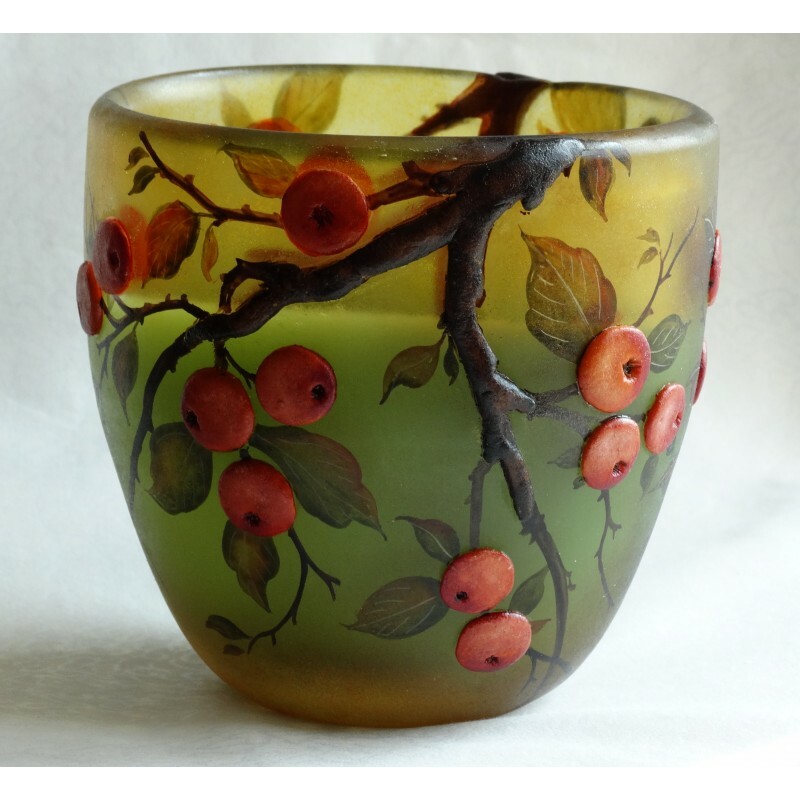 This magnificent decorative vase will have a special place in either classic or modern decors as the embossed wild berries will bring on a note of sweetness and delicacy. 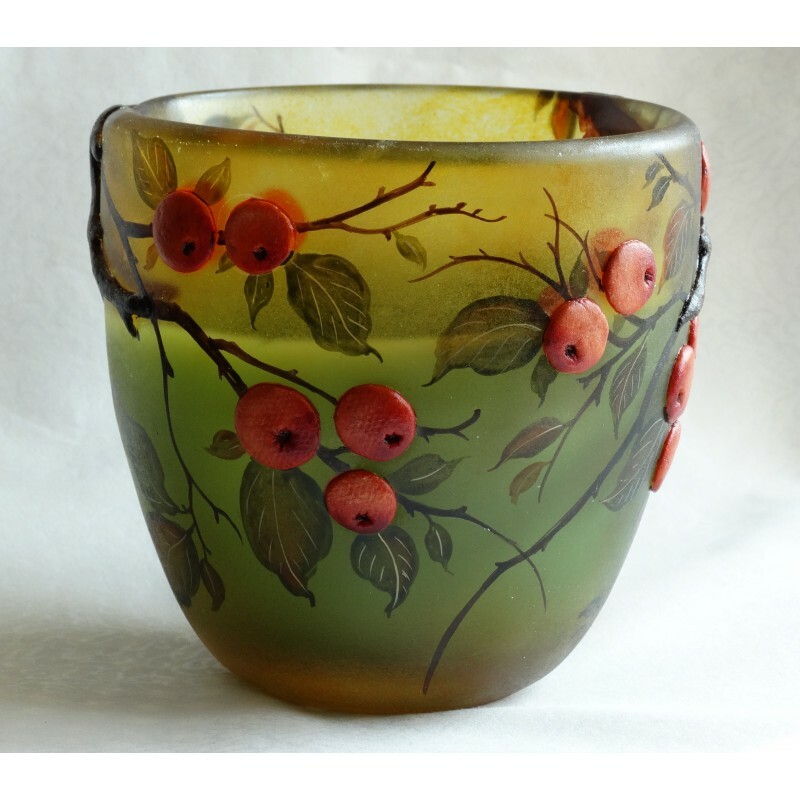 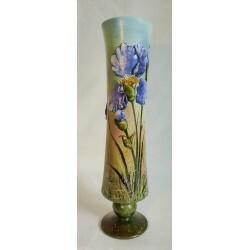 The originality of this frosted glass vase lies in the fact that the wild berries are embossed, creating a nature-like three-dimensional look. 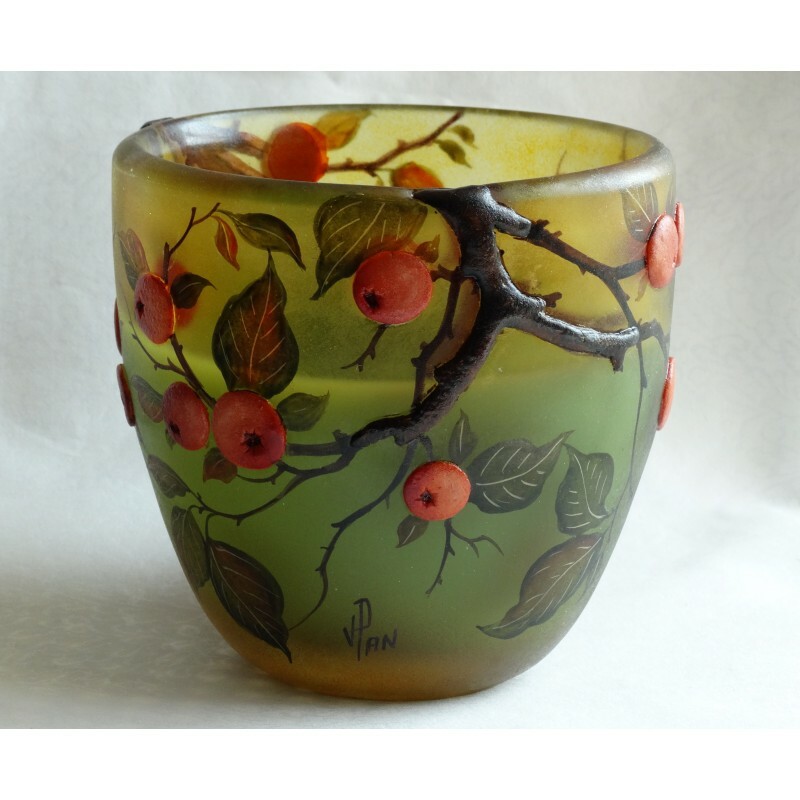 This creation signed by the artist Viorel PANAIT is delicately painted on green-brown background and it is made of individually mouth-blown frosted glass, the glass being tinted while still being hot by gifted glass-makers with a large expertise. 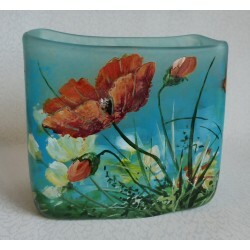 It is then painstakingly entirely hand-painted with an original technique in the style of stained glass. Berries are made by applying cold glass, according to a highly innovative method devised by this artist. 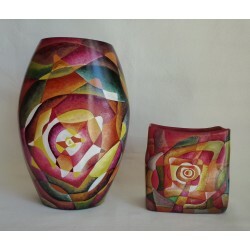 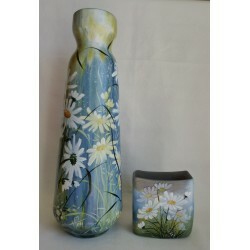 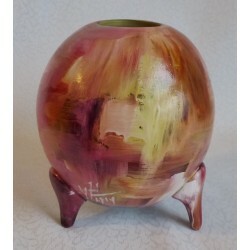 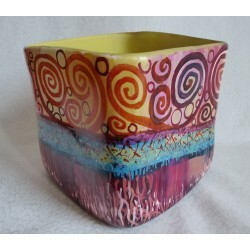 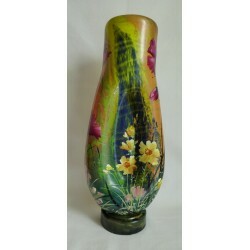 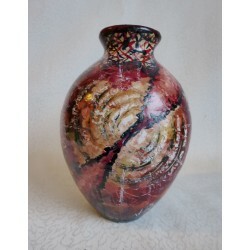 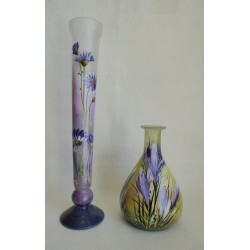 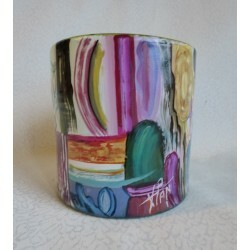 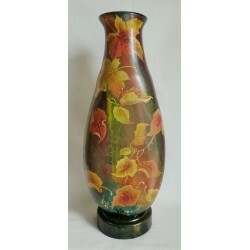 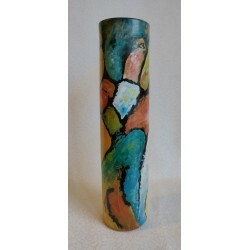 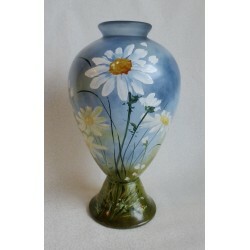 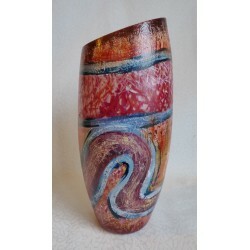 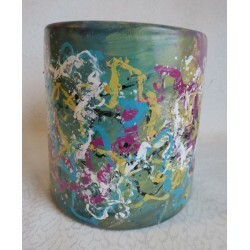 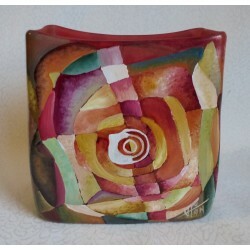 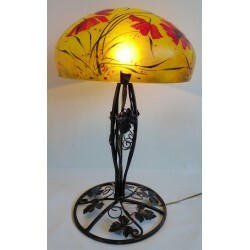 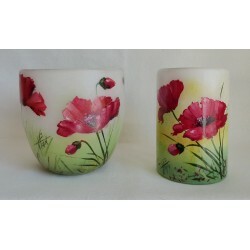 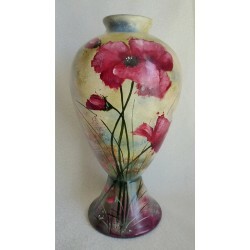 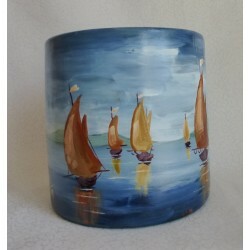 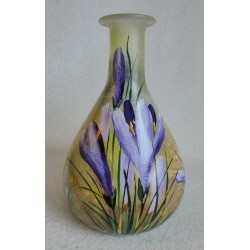 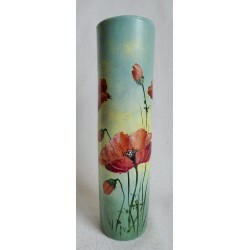 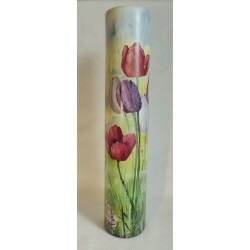 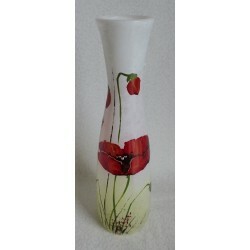 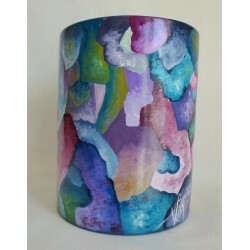 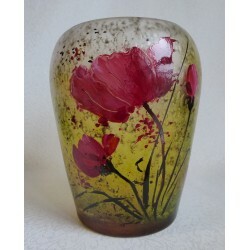 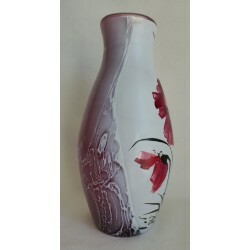 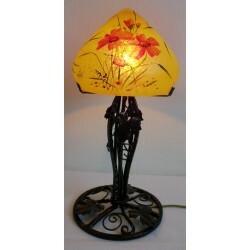 Dimensions : height : 13 cm ; diameter : 13 cm ; glass thickness : 0.5 cm. 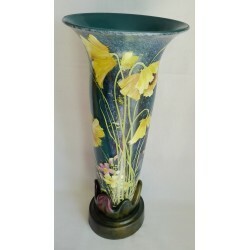 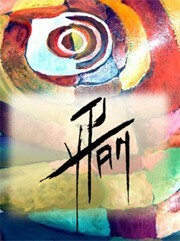 This unique work of art stems from a combination of high quality manual labor, talent and expertise. 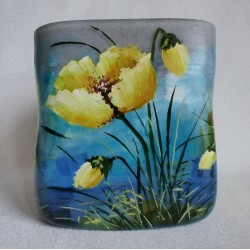 Fast, neat, safe shipping, (bubble wrap packaging), all over the world.